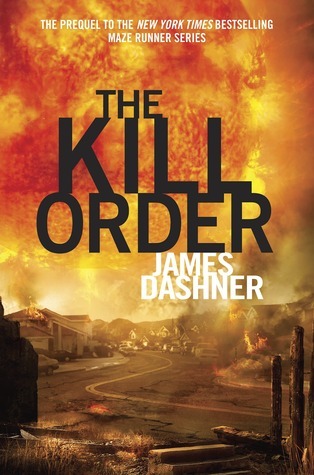 Blog Tour for THE KILL ORDER by James Dashner plus Giveaway! 19 Blog Tour for THE KILL ORDER by James Dashner plus Giveaway! We are beyond thrilled to be a part of James Dashner's blog tour for the paperback release of THE KILL ORDER! We were fortunate enough to be able to interview James, and he shared some fun facts about himself. Q: What's your weirdest writing habit? A: "I don't know if this is weird, but it's the only real habit: I like to listen to movie soundtracks while I write. Gets me in the mood." Q: What's the most common question fans ask you? A: "Oh, that one's easy: Where do you get your ideas? Sadly, I have no clue what the answer is!" Q: What is your favorite writing treat? A: "Cashews and Diet Coke." Q: What recently published books do you wish you'd written? A: "Harry Potter. JK! I think Gone Girl or Night Film." Q: If your series wasn't written for YA, how would it be different? A: "Honestly, not much. I never write "down" for my audience or pull any punches. I just write to my instincts, the coolest, best story I can. This is how it comes out. I think others are that way, too, which is why the YA market has taken off with adults." Q: Doctor Who or Game of Thrones? Q: Star Trek or Battlestar Gallactica? Q: The Matrix or Terminator? Q: Library or amusement park? Make sure to check out the other stops on THE KILL ORDER blog tour! Loved Maze Runner, can't wait to read these. Don't we all wish we had written Harry Potter. The Maze Runner is a really outstanding book. I wish I had written it. Thanks for this amazing giveaway - I would love to win these books! The Maze Runner series continues to be my favorite YA series because of its ability to have a great story without making the whole plot about love or romantic relationships. It's just as enjoyable being able to read about these intense and crazy experiences. Love your writing, James! I have been waiting to read Dashner's newest book and cannot wait to see The Maze Runner movie. Wow so exciting! I love that he liked the book Night Film. It was great. Love the interview answers. Very fun. 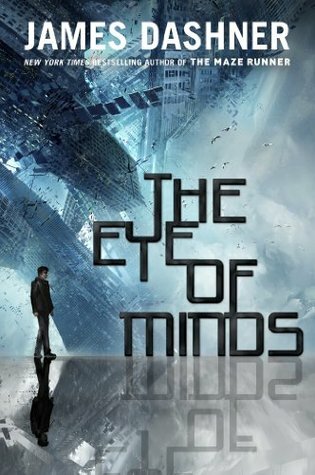 I haven't read this series yet but am dying to...and am looking forward to the movie coming out! Dashner is awesome and this is a great giveaway! Can't wait to read these. I'm so excited, I LOVE the maze runner! I completely love James Dashner! He is definitely one of my favorite authors! I was so excited for the movie (which could of been out next month) but the movie was postponed to September! I was so frustrated. But, Dashner did say to trust his judgement and that the movie being postponed would be for the best. [sigh] "Good things come to those who wait."